lower back. This stretch should be done in three steps. 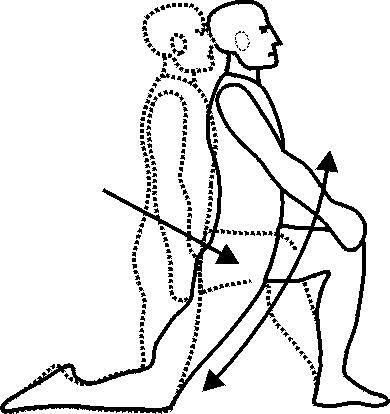 Starting position: start by kneeling on one knee on a soft surface. Step 1: fall forward on the hip that’s kneeling by extending the leg. the arm directly behind you. The stretch should be more intense. side. You should feel the stretch even more intensly. it’s the most effective way to get the stretch. Hey, hope this comment comes through I’m still new to this whole blogging thing. with a diet I developed! I would appreciate it if you could visit my weight loss blog and tell me what you think.